When Can You Make a Claim for Compensation for Injuries in a Mississippi Car Crash? | Merkel & Cocke, P.A. 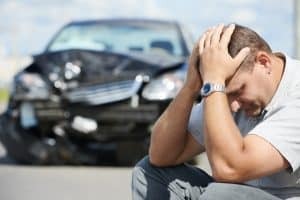 Home/Car Accident/When Can You Make a Claim for Compensation for Injuries in a Mississippi Car Crash? You’ve been involved in a car crash in Mississippi; do you know if you are entitled to recover compensation for your injuries and losses? These losses can include significant financial costs for vehicle repairs, as well as lost wages. You may be facing significant medical costs for the surgeries and/or treatment you need to address your injuries. If you were not at fault for the crash, it’s not fair for you to suffer the consequences without a remedy. There are several conditions that make you eligible to receive compensation after a car crash. Your claim for compensation may be denied if you were responsible for the collision due to negligent driving. However, if another driver’s negligence or dangerous driving activity caused the crash which resulted in your losses, you have the right to claim compensation. This and other evidence can help expedite your case and the compensation process. If you share responsibility with another party or parties for the collision, you and those parties may claim compensation. In Mississippi, the legal principle of “pure comparative negligence” applies to personal injury and car crash cases. As such, the amount of compensation to which you are entitled will be reduced by the percentage of your fault for the crash. The option to file a personal injury claim does not rest with the driver alone. If you were a passenger or pedestrian injured in a car crash, you may be eligible to receive compensation. Property owners who have suffered property damage or loss due to a car crash may also file a claim for damages. An important key, whether as a passenger, pedestrian, or property owner, is demonstrating you were not at fault for the vehicle collision. Mississippi has a statute of limitations in which you may file a civil lawsuit. If you have suffered an injury in a car collision, you have three years from the date of the crash to file a claim for compensation. If you make your claim outside of the statute of limitations, you may end up being unable to file a lawsuit. Negligent drivers must be held accountable for the injuries they cause others. Whether it involves a passenger car, truck, motorcycle, or tractor-trailer, every driver owes a duty of care to others on the roadway. Falling short of this responsibility can invite legal action. At Merkel & Cocke, we are here to help you obtain the financial recovery you are owed in the wake of a devastating car crash. We offer strong legal advocacy from our offices in Clarksdale and Jackson to clients in Tupelo and throughout the Gulf Coast region. To set up a free, no obligation consultation about your case, call us today at 662.799.1633 or fill out our contact form.